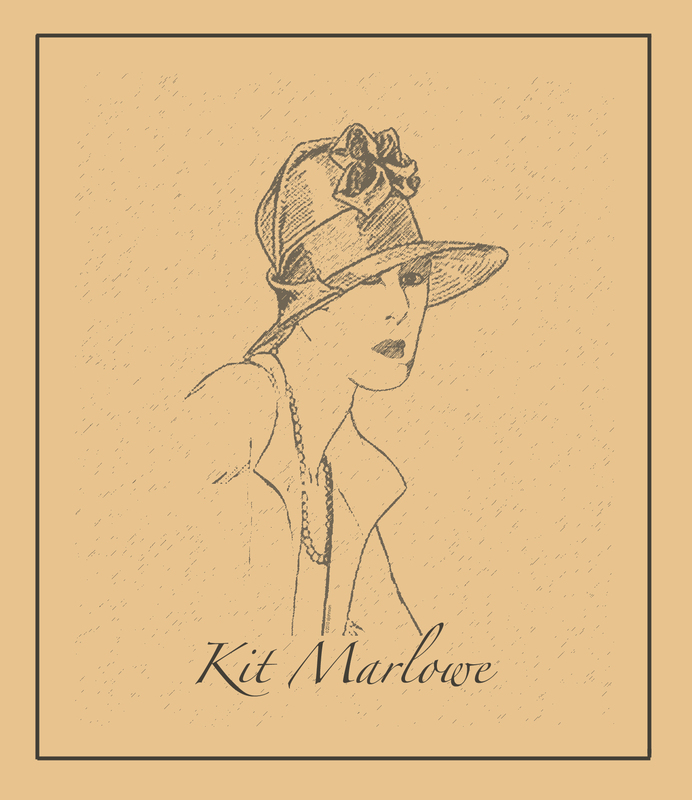 A portrait of famed modern mystery author Kit Marlowe…. Fabulous! I am in awe of your amazing talents! You sure make my pal Kit look good. The raised shoulder signals a psychological uneasiness in the composition, upsetting the balance of the 1930s (?) portrait subtly. The hat is very good, too. What type/make is it? Kit is (a) uneasy about the next clue she stumbles upon and (b) her hat type is a mystery to me….